If you are a sheep ... you are destined to be shorn. 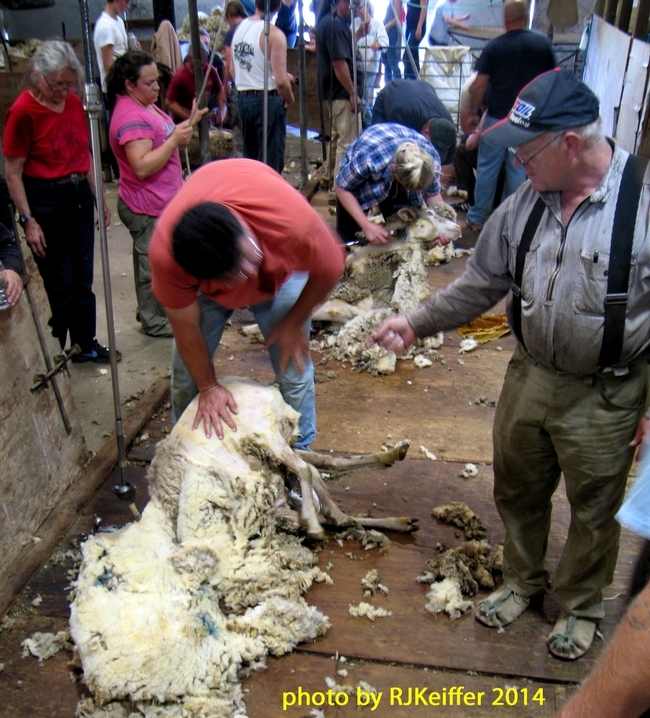 The shearing (removing the wool ... an "elaborate haircut" in simple terms) of sheep normally takes place annually. Here at the UC Hopland Research & Extension Center this usually takes place near the end of spring ... to coincide with the weaning of the lambs and beginning of hot weather. Once again, John Harper, UCCE Livestock & Natural Resources Advisor for Mendocino and Lake Counties, coordinated a Sheep Shearing School to be held at HREC. As far as we know, this is the only sheep shearing school that is offered in the state of California. Twenty participants signed up to be students for the 5-day course and learned the delicate art of removing a sheep's clothing in one piece (called a fleece). The course, completed last Friday, was taught by Mike McWilliam (right-hand side photo) who was assisted by Gary Vorderbruggen.